What would your view be if a young 18 year old student stood for the Conservative Party in a particular ward in the local elections next year? Obviously Policy should be the most important element but would the age put you off even if they have done a lot prior to standing and have actively seeked to get involved and make a real difference to society or would the age not put you off if you liked what you heard from them? As we all know there is still a great lack of young people involved in Politics and despite the number increasing, in general there are still very few young people on council. Anyway what is your view to my above question? I think that it would be a great idea - we definitely need a younger point of view on the Borough Council - the youngest must be an aging 30 something. I'm sure that Councillor Paul Kennedy (Conservative agent and Borough Councillor - who posts frequently on here) will give him every encouragement. It depends on by the word "policy" you mean party policy or what is best policy for local people. Almost all members of Warrington Council are too worried about party politics and wether it is right for the party interests to be involved in a particular scheme. Personally I like the idea of a truly independant council which does what is right for the town; not what is right to further their political careers in the eyes of their Westminster masters. As for age, well I think 18 is a little young to be standing as experience in life and having to pay taxes and stuff does help. It is a good test that you can scream at Gordon on the telly when he bleats about spending more and more of our tax money on some daft scheme or other.... or at the likes of Axcell and Earl when they try and defend the indefensible mess that is the Westbrook traffic lights; which incidentally have so far cost more to put in than supplying 250 primary school classrooms with interactive whiteboards and projectors! Thanks for your views. I made this thread as I am considering standing next year anyway please keep your views coming. At local level it 'should' make no difference which party you stand for and politics should not come into it anyway although it tends to sometimes . It would be good to have some much younger people involved as they will be more tuned in to the needs of the younger folk in the areas and may be able to shed a different perspective on some of the issues raised. Thanks very much. 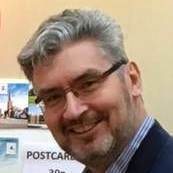 I do hope that Paul Kennedy will post his response in this thread as I very much would like to hear what he as a Constituency Agent and now a Local Councillor plays a crucial role. I hope that you continue to post and maybe contribute on other topics. Just think very few younger voters vote so you have a large untapped electorate to get out and down to the polling station. You just have to come up with a manifesto that they are interested in and persuade them put their X against your name. I'd check out first if there are any elections taking place next year as there aren't where I live until 2010. You might like to try as an MEP (it's all change next year) however Tories and the EU don't go together do they? I'm most definately going to continue to post and contribute on other topics, I plan to be a long term fixture here on these forums. Yeah absolutely, there is a great deal of young people's voter apathy which really needs to be addressed and I would love to be the person that helps decrease the problem. Yeah I will do that. No the Tories and the EU don't do that together but even so thats an interesting idea. I would prefer folk who have been shaped by life's experiences, rather than being shaped by the political class - young recruits are a recipe for careerism, and we've got enough of that already! Geoff; isn't young Chris Vobe the son of MZZZZZ Jones MP? Could the position become hereditary?! Well I don't plan to shape myself in the mould of Chris Vobe. Sure you don't want to be a stand in for Harry Potter, but you will be shaped in the mould of your peers. VOBE; son of MR & MRS VOBE! Anyway please keep the opinions coming about my initial question at the start of this thread. I would suggest at least a gap year first and a trip around the world! All views are being taken into account. Another young student besides Vole who stood in the recent local elections is Jonathan Woodruff who stood in Great Sankey South. As has been said Jonathan, trying to get involved in politics at such a young age smacks of careerism and not wanting to go out and do a proper job! Trying at such a young age, to get onto the Euro Parliament gravy train would mean a door slammed in your face iand a mouth full of abuse if you knocked on my door! I would however, be interested in knowing what you think you could offer to an electorate and especially how you would go about representing someone like me for example. 40+ two kids (one 22 and one 7) own business, likes old cars and fast women!! First job at 16 as a waiter at Paddington House Hotel and worked up from there. So what could you offer me? Bear in mind I am not interested in skate parks, Big Brother, Rihanna or any of the "young people stuff".... so how do you convince me to vote for you? Jonathan L - welcome to the forum and long may your posting continue - but try not to become too much of a political animal! Concentrate on local issues and representing all young people. Jonathan L, in answer to you question then no I would not vote for you because you are 18 years old. I would also not vote for you because you are a member of the Conservative party. I would only vote for you if I felt you were the best candidate to vote for. I would only vote for you if you were from the Ward you were standing in and I would only vote for you if I felt you had proved yourself worthy of my vote. In the recent local elections I truly did not know who to vote for but I ruled out the Conservatives immediately as they had a Candidate from outside the Ward standing as Local Councillor and also never had a single person standing to be on the much less glamourous parish Council. I felt that if the Conservatives were not prepared to work at Parish level then they certainly did not deserve my vote for Local Council. Well firstly, whilst I of course respect your views, I want to get involved in Politics even at this age as I really, really want to go out and do a proper job and succeed in it. Firstly, I will always and I mean always make myself available for others and would hide nothing. If people wish to criticise me and make their opinions heard, no matter how criticial, no matter how much I may disagree, I would welcome their opinions with open arms. The fact of the matter is as we all know, in Politics there are many who duck under criticism and in that typical of a politican, often give an answer they wish to give which isn't neccessarily answering the question they were asked well I would at all times actually answer the questions the public really want to know rather than dodge my way out of the questions. I would seek to improve and strengthen ties with the police and seek to cut down on anti social behaviour which it has to be said, isn't always caused by young people. I would make myself available for the public to come and discuss whatever their concerns and / or ideas. As you may already have noticed I am someone who is very, very interested in other peoples ideas and opinions and so unlike some people involved in politics, I would seek to listen to what really matters to the publc and take action. Theres no point listening to other peoples views if your not prepared to act on behalf of them. I will seek to ruthlessly pursue value for money in all matters and I pledge I'll do all I can do to reduce it. So many young people say they want things such as more skate parks well to be honest, more skate parks is most definately not at the top of my agenda. Of course I would seek to get as many votes from 18 years olds and upwards as possible but providing more skate parks would be to a certain degree opening the town up to more trouble. Many children make out that there is absolutely nothing to do for young people well it is my opinion that here in Warrington we are lucky as there are lots of things to do and get involved in such as Sports Clubs, Social groups, and other young peoples organisations such as Scouts and Guides etc. The latter have become far less popular in recent years which I as an ex member of Scouts feel is a shame but I would strive to get those sorts of organisations going again. In many places there are still a lot of broken streetlights and roads that need resurfacing well I will fight until action is taken to improve these state of affairs. With me you would get a young person who strives to make a positive difference. I wouldn't do it for myself, I'd be doing it for each and every one of the public. It really seems to me that so many adults nowadays are scared to even walk past a small group of children / young people in fear of what might happen to them and that I believe is to a certain extent down to a lack of activities that enable young people to actually get involved in the running of society or at least helping to improve society. It's all well and good having social clubs on a Friday Night etc where young people can go for a game of snooker and a kick about with their mates etc but with all due respect those kind of activities do nothing to improve the image of young people. As mentioned earlier, sadly the Scouts association is dieing out and so therefore the idea of 'Gang Shows' also are. Gang Shows are once yearly done at the Parr Hall where Beavers, Cubs, and Scouts all perform various activities and acts etc, some of which I feel older people would be very impressed at the positive work the organisation does. I'm sure there is something similar for Guides. I want Social clubs to get involved in more volunteering activities and to do this they should get the chance to meet those involved in local politics, such as their wards councillor. With me you would get absolute honesty, trust, and a relationship with a councillor who you really feel you can approach. With all due respect there may be a large age gap, but even so I don't want this to put people off contacting me if there is something they wish to discuss. No matter what age, no matter what race, no matter what religion, no matter what views, I would listen to each and everyone of you and do my very best to get what you want done, done to the best of ability. Also, thanks very much to Gary for the nice welcoming comment and thanks PJ Callands for expressing your views. I do agree with you that it would be best for those who stand, to stand in the ward they live in, but as we know, that is not always the case but that does not at all mean to say those in power of a ward that they may not live in do not do a good job as many of them do an absolutely excellent job and are highly respected by those in the ward they run, even if they're not from that particular ward. One Councillor who doesn't live in the ward he was elected to in May is Paul Kennedy who now represents Stretton and Hatton, well I'm certain that he'll do a terrific job. Well even so I'm sure he'll do a great job. Jonathan you say all these things but if you were a Conservative Councillor(or any other party) you would be forced to toe the party line and go against or at least dilute beyond recognition your personal views. Ask Cllr. Kennedy and I am sure he will put you in the picture.